When an employee requests time off for an FMLA-related reason, you should inform her she may be eligible and provide information on how to request leave. But sometimes, the employee may not want to use FMLA leave. Don’t force her. Instead, make sure you carefully document that you told her what her options were. Then approve whatever type of leave she has requested, if she is eligible and if she plans on taking time off. As a practical matter, this means that she may end up with her full 12 unpaid weeks of entitlement to use later, after she has used up any other available paid leave. As an employer, you may prefer that she run her FMLA leave concurrently with her paid leave, but that may not be an option after a 9th Circuit Court of Appeals ruling. Case in point: Maria worked for a chicken processing plant and had used FMLA leave on at least 15 occasions in the past. She knew the drill—contact HR and ask for FMLA leave, get the medical certification forms filled out and take the time as FMLA leave. But when her father in South America got ill, Maria asked her supervisor if she could use her paid two-week vacation time to visit him. When asked if she needed more than two weeks off and whether she wanted to take protected FMLA leave, she insisted that she wanted to use vacation leave. The supervisor reminded her that if she wanted FMLA leave, she had to follow the rules and go to HR. Maria then took her two-week paid vacation. She didn’t, however, return to work as scheduled. Nor did she call anyone with an update, or a request to take FMLA leave. After three days of no calls and no shows, the chicken processor fired her under its no show, no call policy. Maria sued when she returned, alleging that once she told her em­­ployer that her father was sick, she was entitled to the FMLA’s job protections and should have been able to retroactively request FMLA leave. Using her reasoning, an employer would have to follow the FMLA anytime it knew an employee was absent for what might be an FMLA-covered reason. 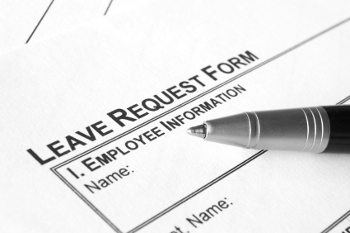 Final note: Employers often ­prefer that employees take FMLA leave concurrently with their paid time off. And that may be the best approach when an employee clearly is using the time off for her own health problems. But when another FMLA reason comes into play, the employee may choose paid vacation instead, as Maria did. That left her with a potential 12 unpaid weeks of leave to use later for other reasons. Can my job force me into getting a FMLA because I have a 8 hour restriction and can’t get forced to work another 8 hours? I even have bonus days. I am on FMLA and today I let the manager know that I would be in for the second part of my shift I had some medical issues come up in the morning she agreed later on I found out that she decided to cover my whole shift without my consent I lost a whole days worth of pay what can I do?? ?